Soccer Stars drop Women’s World Cup gender discrimination suit against FIFA. 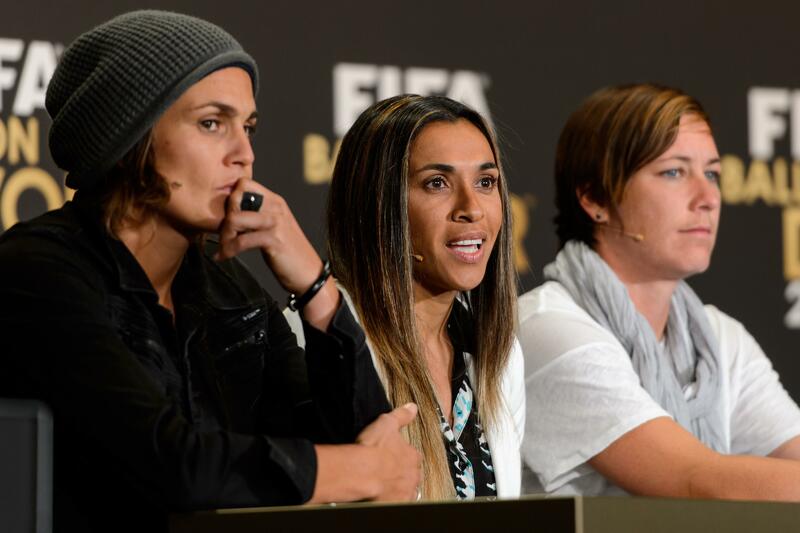 2013 Women’s Player of the Year finalists: (L to R) Germany’s Nadine Angerer, Brazil’s Marta, and U.S.’s Abby Wambach. It’s pretty well known FIFA isn’t exactly leading from the front when it comes to gender equality. But, even by the global soccer governing body’s standards, this summer’s Women’s World Cup was shaping up to be a bit of a nightmare—complete with a lawsuit filed by 84 players against FIFA and the host nation’s Canadian Soccer Association claiming gender discrimination. The core dispute brought forth by the players—including the sport’s biggest female stars—was the use of artificial turf for the event, rather than natural grass. The surface, they say, is more dangerous for players and would never be allowed during the men’s version of the tournament.